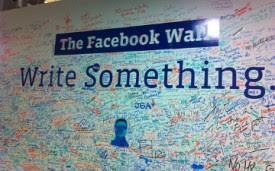 Facebook has responded to the death of SOPA, expressing its relief that the bill has been pulled and thanking its users for their feedback. “We are relieved that Congress has recognized the serious damage the PROTECT IP Act (PIPA) and the Stop Online Piracy Act (SOPA) could cause to the Internet and are pleased that congressional leaders have decided not to move forward on these bills. We want to thank the millions of Facebook users who shared their views with us, with members of Congress, and with their friends and families on this important issue, and who changed the direction of this harmful legislation. We appreciate that lawmakers have listened to our community’s concerns, and we stand ready to work with them on solutions to piracy and copyright infringement that will not chill free expression or threaten the economic growth and innovation the Internet provides. You can read more about Facebook’s view on this legislation by clicking the “Anti-Piracy Bills” tab on the left side of the Facebook Washington DC page.